Civic space freedoms are constitutionally protected in Ghana and mostly respected in practice. On 16th January 2019, two unidentified gunmen on a motorcycle shot and killed investigative journalist Ahmed Hussein - Suale while he was reportedly driving home in Madina, a suburb of Ghana's capital Accra. Suale was a member of Tiger Eye Private Investigations, which was founded and is led by undercover investigative journalist Anas Aremeyaw Anas - a pseudonym. The right to freedom of association is guaranteed under Article 21 of the Constitution of Ghana although there is no specific legislation related to the formation of civil society organisations. The right to freedom of association is guaranteed under Article 21 of the Constitution of Ghana although there is no specific legislation related to the formation of civil society organisations. According to Article 14 of the Ghana Companies Code 1963, civil society organisations must register with the Ministry of Manpower, Youth and Employment and must submit annual reports and statements of accounts to the Social Welfare Department. The Ghanaian government generally respects this right as there is no evidence of CSOs being particularly targeted, while human rights defenders operate mostly in a free environment. Under the constitution and the 2003 labour laws, workers have the right to form and join trade unions. Article 21(1) of the constitution provides that all persons shall have the right to freedom of assembly, including the freedom to take part in processions and demonstrations. Article 21(1) of the constitution provides that all persons shall have the right to freedom of assembly, including the freedom to take part in processions and demonstrations. The 1994 Public Order Act governs the exercise of this right. Under the Act, anyone to hold a demonstration in a public place must notify the police of their plans at least five days before the demonstration. Under the Act, the authorities have the power to postpone demonstrations. Section 3 of the law imposes responsibilities on organisers for any damage caused by a demonstration in which they have participated. While the right to freedom of peaceful assembly is mostly respected in practice, the use of excessive force by police during peaceful demonstrations has been documented. Freedom of expression is also constitutionally protected in Ghana, however, recent legislation passed by parliament threatens to undermine this protection. 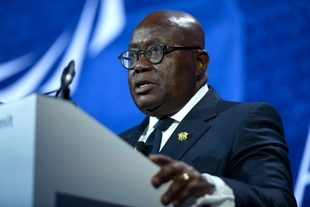 Freedom of expression is also constitutionally protected in Ghana, however, recent legislation passed by parliament threatens to undermine this protection. In December 2015, Parliament enacted regulations requiring prior authorisation from the National Media Commission before content is disseminated. Criminal libel and sedition laws were repealed in 2001, but the publication of false news with intent to ‘cause fear and alarm to the public or to disturb the public peace’ is still criminalised. Journalists are occasionally arrested and harassed for reporting on politically sensitive issues. A regional organisation documented eight violations of freedom of expression during the first quarter of 2016. Access to information legislation has been pending for years.